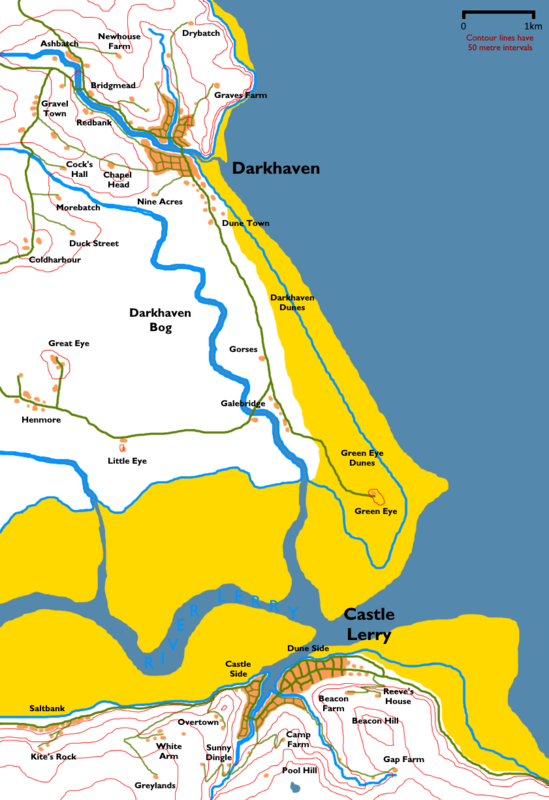 It's a fictional place, but the map style is based of that of the Ordnance Survey. Topic: What's your IPA inventory? Re: What's your IPA inventory? What about the various places in NZ with Whaka-? The wh is pronounced as a bilabial fricative in Maori. My name comes from the Welsh phrase 'sgod a sglod, shortened from pysgod a sglodion, which means fish and chips; the sglod part meaning chips. I'm Welsh, although I don't speak the language at all well, and I eat too many chips. Je crois que c'est le Romanche mais je peux avoir tort. I think it's Romansh but I might be wrong. Topic: Hello! I am using Whatsapp. Re: Hello! I am using Whatsapp. American Northerners? As an Ohioan, I have never heard anyone say "cwoffee".